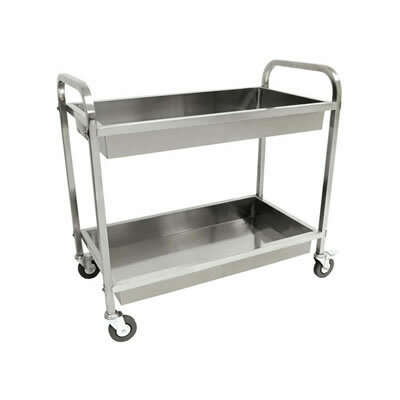 This serving cart has caster wheels and is made of high quality stainless steel. The Serving Cart is 30” tall, and features two serving trays. Perfect for placing the beverage buckets full of ice cold beers on, or appetizers for your guests at your next party!